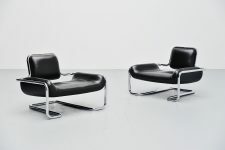 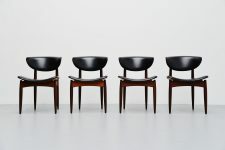 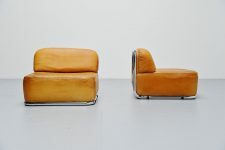 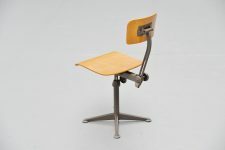 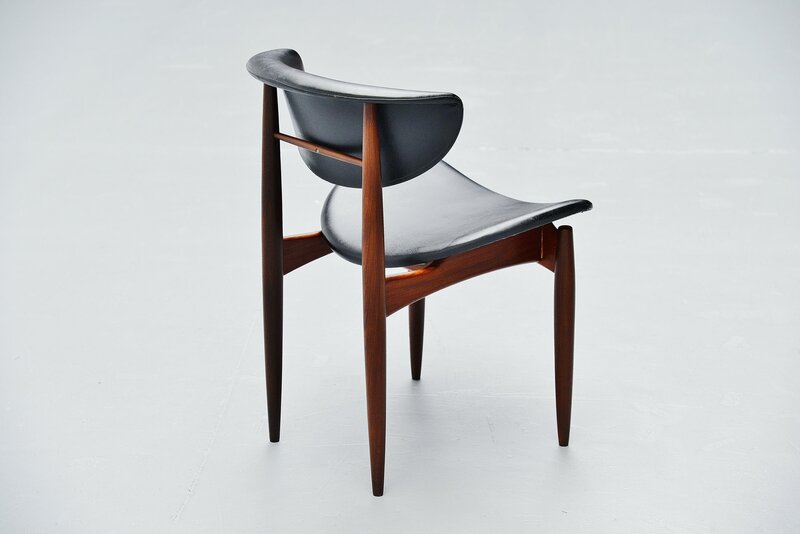 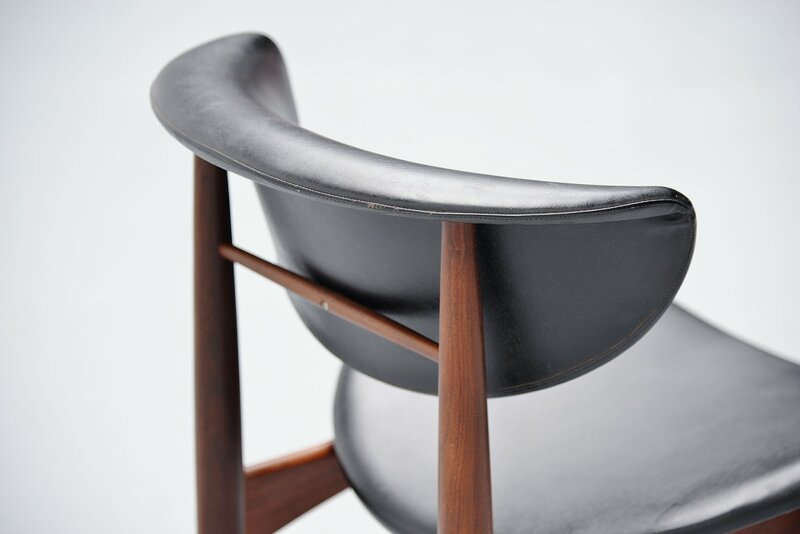 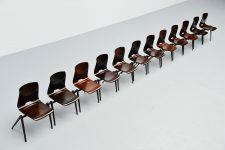 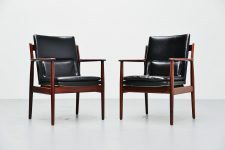 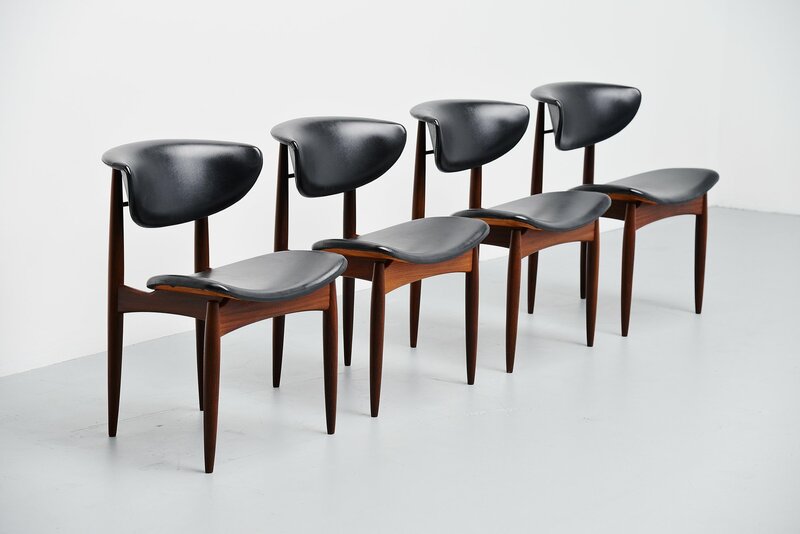 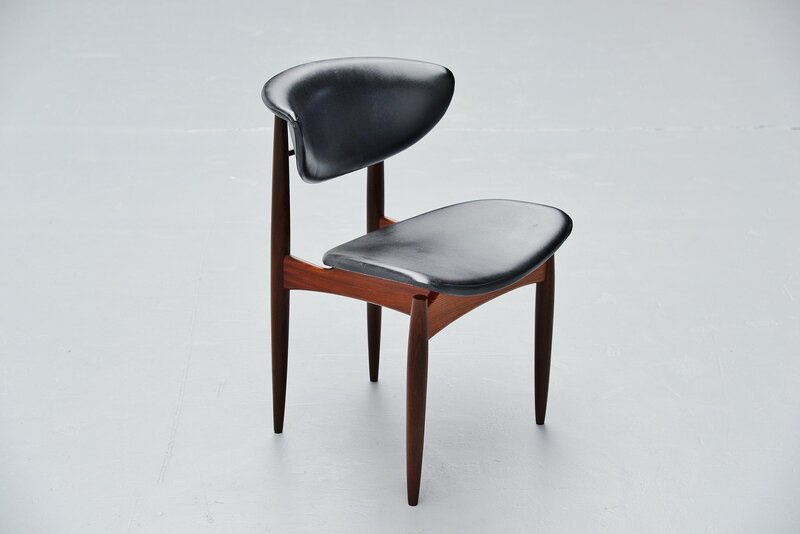 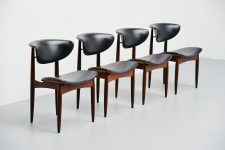 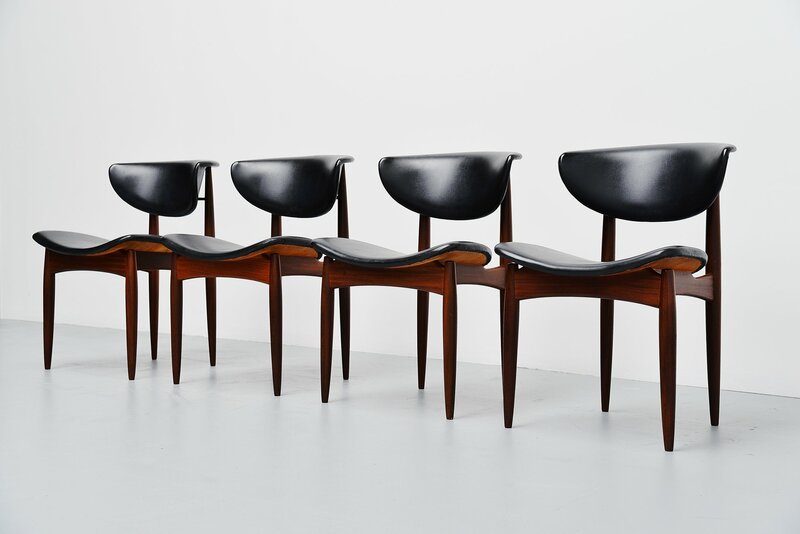 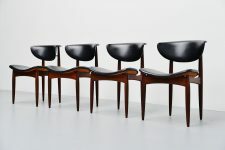 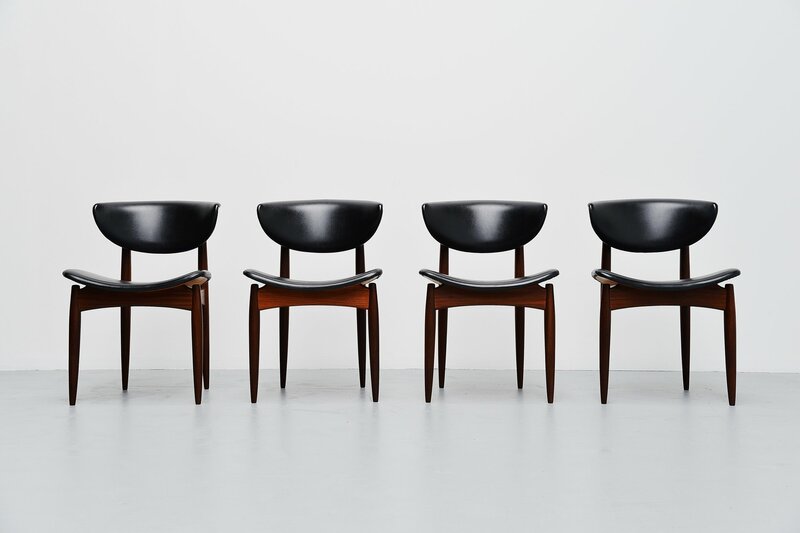 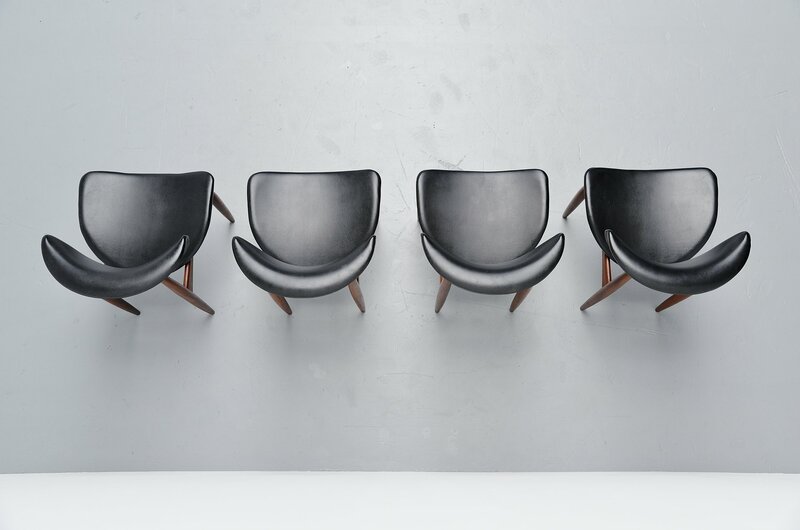 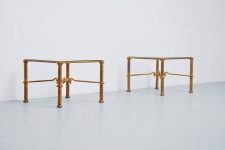 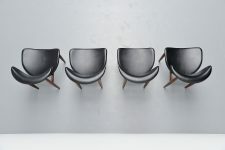 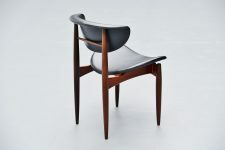 Nice set of 4 dining chairs made by unknown manufacturer or designer, Denmark 1960. 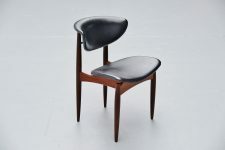 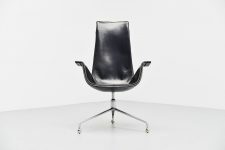 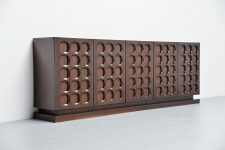 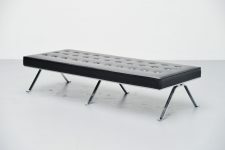 The chairs have solid teak wooden frames, nicely crafted and the organic seats are covered with high quality (close to real leather) faux leather. 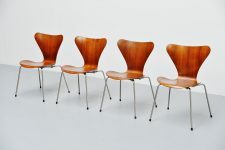 Very nice and comfortable set of dining chairs in good original condition. 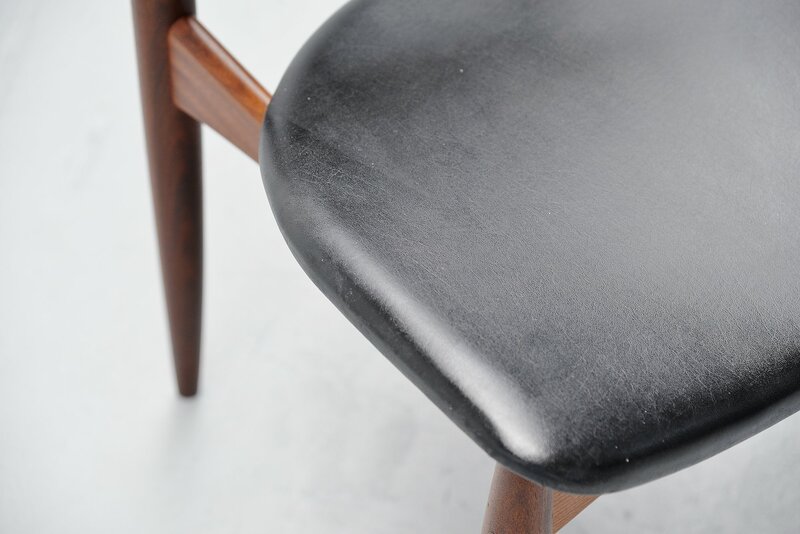 Some minor wear from age and usage along the corners on some of the seats.